Shhhhh… do you hear it? That sweet sound? That’s Corey Landis’ Self-Titled (some might even call it eponymous) record, which is finally, quietly available through the intercession of those endless tubes of commerce we call the interweb. Or just get it at Amazon.com with the rest of your gold box items. Feauring Corey’s piano in the forefront of simple, acoustic arrangements, the record evokes the darkly humorous and off-kilter west coast albums of the ’70s (the “good old days”, right?) singer-songwriter era (Randy Newman’s “Sail Away”, Tom Waits’s “Small Change”, Elton John’s self-titled album, etc.) with both feet planted firmly in a thoroughly dystopian El Lay of the present. 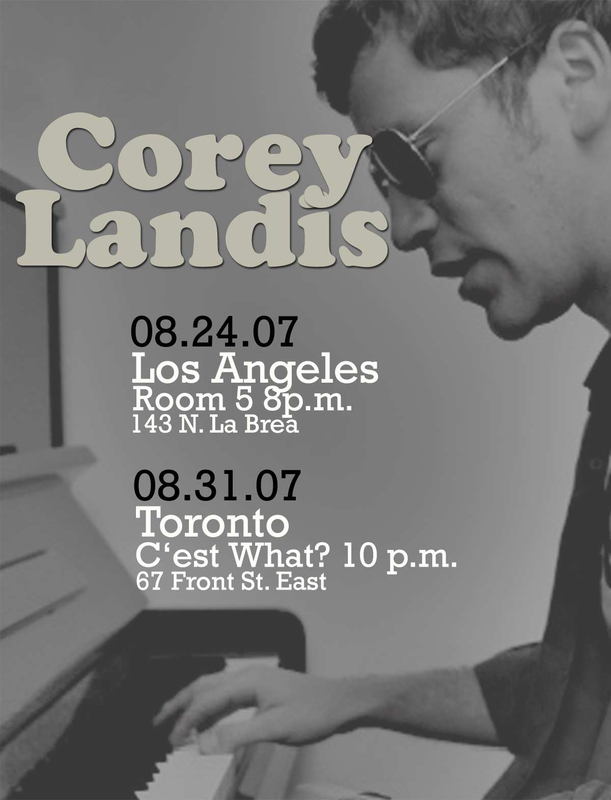 Corey Landis (the album, not the person) features wonderful string and woodwind arrangements by film composer Joey Newman (of the same Newman film-scoring dynasty as Lionel, Alfred, Thomas, and most tellingly, Randy) and was mixed by Greg Hayes (Warren Zevon, Tom Petty, Bruce Springsteen) at historic–and now defunct–Signet Sound, former home of Motown West. Read more about it here or at Corey’s spiffy new website. Yes, literally in the studio. 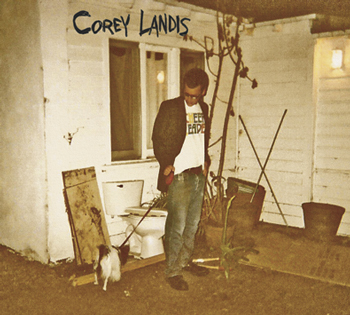 Corey’s new album, currently titled Corey Landis drops in 2007.